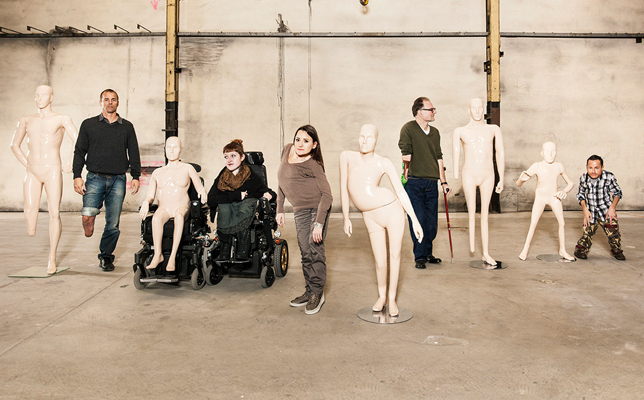 Pro Infirmis, an disability advocacy organisation in Switzerland, marked International Day of People with Disability this year with “Because who is perfect?” (Wer ist schon perfect), a campaign featuring mannequins with disabilities. In the weeks before Christmas, Bahnhofstrasse in Zurich glitters with pretty displays. On December 3, however, special mannequins with shortened limbs and twisted spines are shown in the windows of the fashion stores WE Fashion, modissa, PKZ, Schild and Bernies. 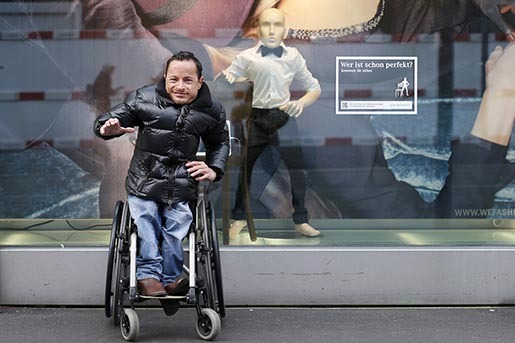 A film by director Alain Gsponer documents the development of the campaign, from the measuring of the participants to the mannequins being displayed in the stores on Bahnhofstrasse. In 2011, Gsponer directed the successful bear commercial for Pro Infirmis, which has now been viewed over four million times. See the previous Pro Infirmis commercials Bear (2011) and Gianni Blumer (2012). The Because Who Is Perfect campaign was developed at Jung von Matt/Limmat, Zurich, by executive creative director Alexander Jaggy, art director Daniel Serrano, copywriters Mateo Sacchetti, Samuel Wicki, graphic designer Lukas Frischknecht, consultants Marco Dettling, Danijel Sljivo, Roman Meister, art buyers Sarida Bossoni, Ilonka Galliard, PR consultants Alexander Gligorijevic, Nicole Pauli, working with Pro Infirmis head of communication Mark Zumbühl and communications consultant Bettina Konetschnig. Filming was shot by director Alain Gsponer via Pumpkin, Zurich, with director of photography Jonas Jaeggy, producers Caro Büchel and Michael Kindermann. Music, “Lost at Sea”, was newly arranged by Dave Thomas Junior, licensed at Tracks & Fields. Models featured in the campaign are radio host and film critic Alex Oberholzer, Miss Handicap 2010 Jasmine Rechsteiner, athlete Urs Kolly, actor Erwin Aljukić and blogger Nadja Schmid.